To my taste, folk and Americana-based rock can be especially hit-or-miss. It is a genre susceptible to sounding all too similar from one artist to the next, so an impressive level of talent in both performance and songwriting is essential to standing out. 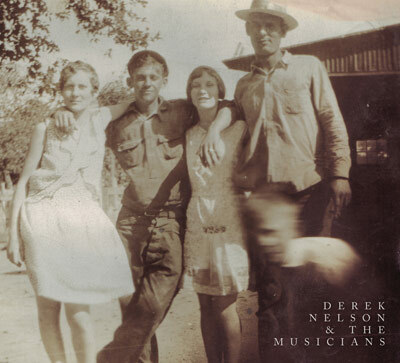 Late last year, Chicago folk-rock singer-songwriter Derek Nelson came out of nowhere with Something Obscure (reviewed here), proving without a doubt that he had what it takes and quickly generating buzz around the city. Honestly, the style of music wasn't one that I'd typically get so excited about when played by lesser musicians, but Derek and the EP had something special going on that I couldn't ignore. The songwriting was certainly there and its creator sounded like a natural. 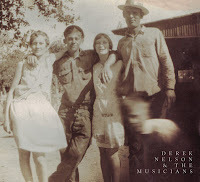 One year later, then, I was glad to hear that Derek has returned with a new EP, Riders of the Tide. This time he's joined by a full band dubbed simply "the Musicians," resulting in a fuller, more powerful sound that brings a new dimension to the music and definitely does not disappoint. Compare lead-off track "Come and Wait" with Something Obscure's opener, "Ballad of Big Shoulders" to hear the evolution at its most pronounced. This time out, the sound is more epic, the performance much bolder. The "rock" is moved to the forefront while the "folk" is simply there to show its support. For further evidence, check out the upbeat romp of my personal favorite, "Die Darlin'," or the dark, moody intensity of violin-drenched rocker "Blackwater Town." That said, the haunting gentleness of the debut EP hasn't been abandoned entirely. "Oh, Mama (I'm Going to the Other Side)" is sparse and reflective, as is the title track, which closes the collection of songs with a melancholy, classic folk vibe. There's one constant, though, whether the material is plugged in and rocking or softly acoustic: Derek and the band sound like they've been doing this together for a decade, not a year. There's an air of confidence and passion throughout these six songs that's impossible to overlook. If Something Obscure introduced Derek as an artist worth looking into, Riders of the Tide cements him as one worth championing. Riders of the Tide is available to download on the Derek Nelson & the Musicians Bandcamp site, and you can name your own price. To check out the band live, mark your calendar for November 24 at Molly Malone's in Forest Park, December 4 at Congress Theater (as part of the Chicago Blues & Bluegrass Festival) and December 10 at Subterranean.